FCC Chairman Ajit Pai’s choice to lead his newly created Broadband Deployment Advisory Committee (BDAC) was arrested last week by the FBI and charged with a multimillion-dollar investment fraud scheme. 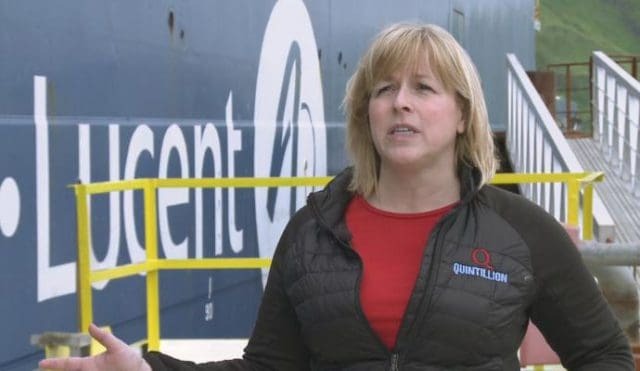 Elizabeth Pierce, former CEO of Quintillion and ex-chair of the BDAC from its start until September, 2017 surrendered to authorities in New York City. Pierce was charged with wire fraud for allegedly tricking investors into putting more than $250 million into an Alaskan fiber optic project based on guaranteed revenue contracts prosecutors claimed Pierce forged herself to reassure investors Quintillion would benefit from telecom traffic revenue the fiber network never had. To raise adequate funds to support Quintillion’s ambitious fiber optic network buildout, Pierce frequently appealed to outside investors. Several wanted evidence the fiber network would attract enough business from telecom companies to justify an investment. Pierce was accused of faking contracts with Alaska’s telecommunications companies from 2015 until 2017 to provide reassurance companies were committed to spend at least $24 million in traffic charges the first year the network began operation. Pierce’s alleged scheme fell apart when Quintillion began invoicing clients based on the fake contracts. At least one protested, claiming it did not use Quintillion’s network. A subsequent internal investigation allegedly founds dozens of phony contracts kept in Pierce’s Google Drive account, with at least 78 moved to the service’s trash bin 48 hours before investigators began searching Pierce’s computer. Prosecutors were able to recover the deleted documents with a search warrant presented to Google. Pierce may have attracted FCC Chairman Ajit Pai’s attention after publicly complaining the permitting process in Alaska took longer than building fiber cables from scratch and shipping them from Europe. Out of more than 380 applicants, FCC Chairman Ajit Pai picked Pierce in 2017 to head his new broadband advisory committee, tasked with eliminating or streamlining regulations and making life easier for broadband providers to persuade them to expand broadband rollouts. “The Commission was fortunate to have an excellent and deep pool of applicants to serve on the BDAC,” Chairman Pai noted on the occasion of introducing the BDAC and Pierce to the public. Critics argue Pai’s BDAC has been stacked with industry, industry-funded or industry-friendly committee members that are influencing most of the public policy recommendations issued in the group’s final recommendations. At least two city officials resigned over concerns their views were not being taken seriously.